Home › Books › The Rise and Fall of D.O.D.O. Neal Stephenson is the best. As a long-time fan, I can assure you that this conclusion is an objective fact, not a matter of personal opinion. Your mileage may vary, but I doubt it. Up to this point I have reviewed or commented on six of Stephenson’s many novels: The Diamond Age, Snow Crash, Cryptonomicon, Reamde, Seveneves, and Anathem. When I saw a mention of his latest, The Rise and Fall of D.O.D.O. 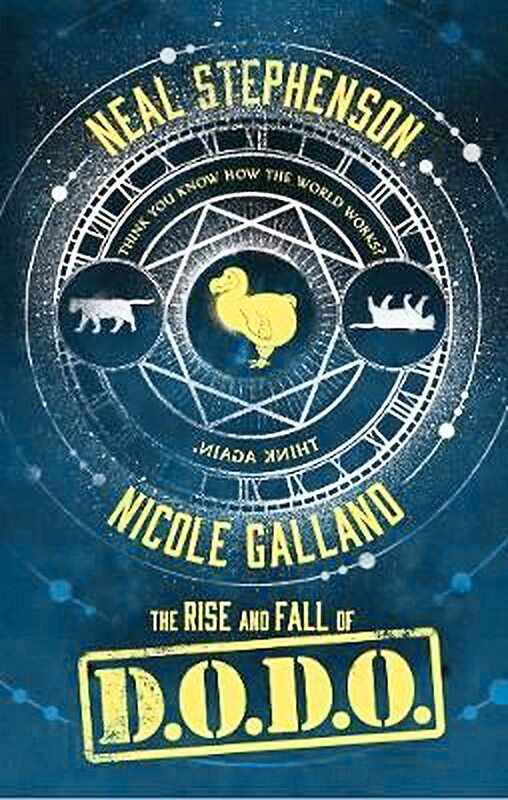 (co-authored by Nicole Galland, whoever she is), I figured it would be a respite from his usual gigantic novels of 1000 or 1100 pages. And when I saw that the protagonist was a linguistics post-doc at Harvard with a specialty in ancient languages, I was hooked. No doubt that personal history added to my enjoyment of the eventual “fall” implied in the novel’s title. But you need not have had a similar traumatic experience; D.O.D.O. is a great story, and you won’t want to miss it! That sure matches my experience! This may not really be “a great story,” but it’s a charming work of science fiction and historical fiction that’s definitely worth reading. You will have to read carefully to catch some of the subtleties, such as why the headquarters of the U.S. military is called the Trapezoid rather than the Pentagon, and why there’s a Walmart in Lexington, MA. And on that subject, before closing I do want to say something about the Viking poem I mentioned in the second paragraph. You’ll have to read the book to find out why a Viking from the tenth century would be writing about the sacking of Walmart, but the 39-verse alliterative fragment does indeed sound like an actual saga from Old Norse or Anglo-Saxon. ‹ Are you Gen Z?